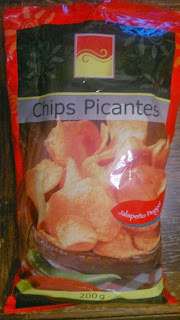 Brandless Chips Picantes. Found these in Lidl. Despite being labelled as "Jalapeño", they aren't as picante as they claim to be. In fact, they are incredibly bland. 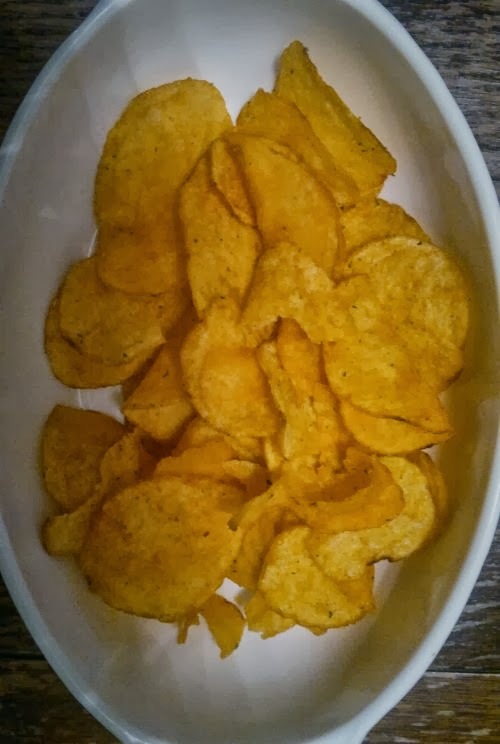 Some vegetable pepper flavour, but no heat whatsoever. 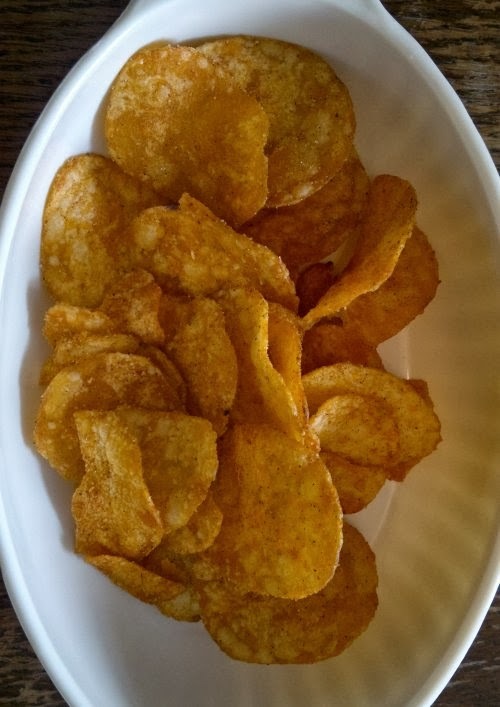 On the Insert Crisps heat scale: zero. Avoid. 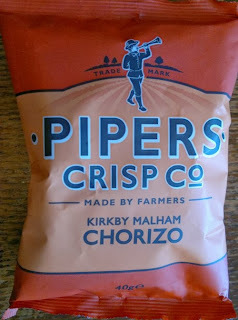 Pipers Chorizo: These babies are rather nice. They are sweet and smoky and spicy (2.5 or 3 on our heat scale) from the smoked paprika in the chorizo, and they are suitably savoury and meaty. 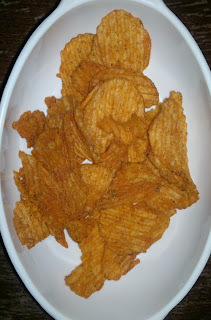 Very good, although they are exceedingly salty. I must get some more. 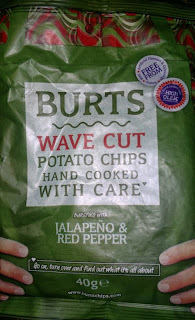 Burts Jalapeño & Red Pepper: These crisps have an appealing appearance, but then Burts know how to make an attractive crisp. 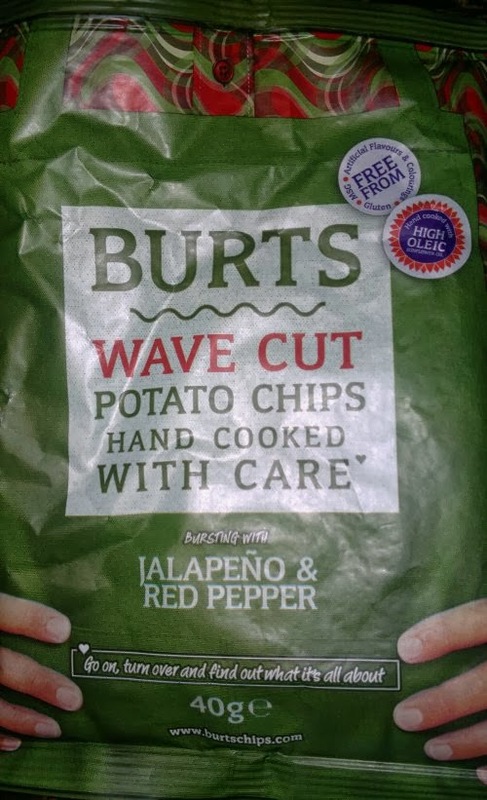 "Wave cut" (crinkle cut to you and me), with a rich red-orange colour and an excellent crunch, these have a strong red pepper flavour and are immediately hot in the throat and on the tongue from the jalapeños. 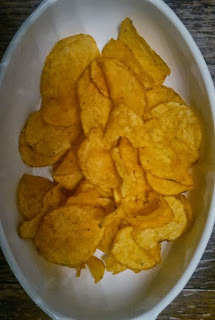 This then builds further to a searing 5 on our heat scale – the hottest crisps we've tested yet (even hotter than the Nando's Peri-Peri crisps, also made by Burts, but equalling the Lidl's Inferno variety). Find, eat... drink water, eat more... repeat until false.